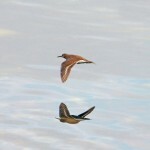 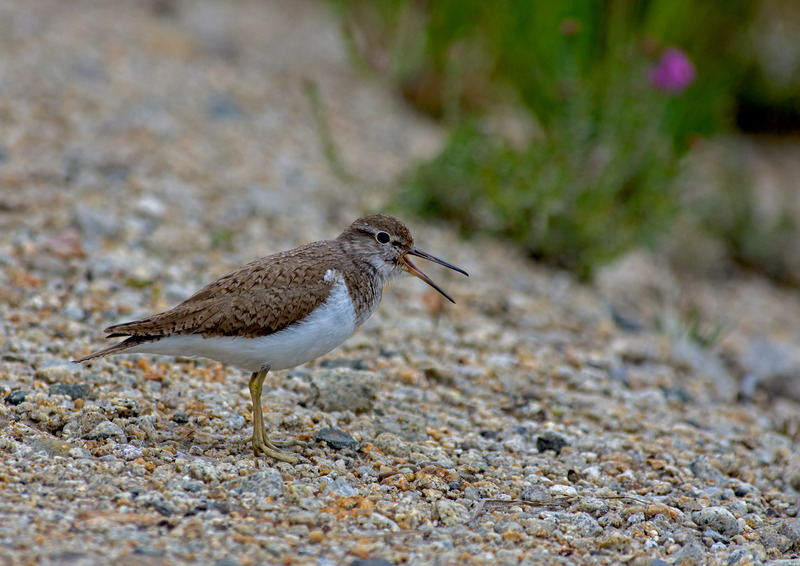 The common sandpiper (Actitis hypoleucos) is a small Palearctic wader. 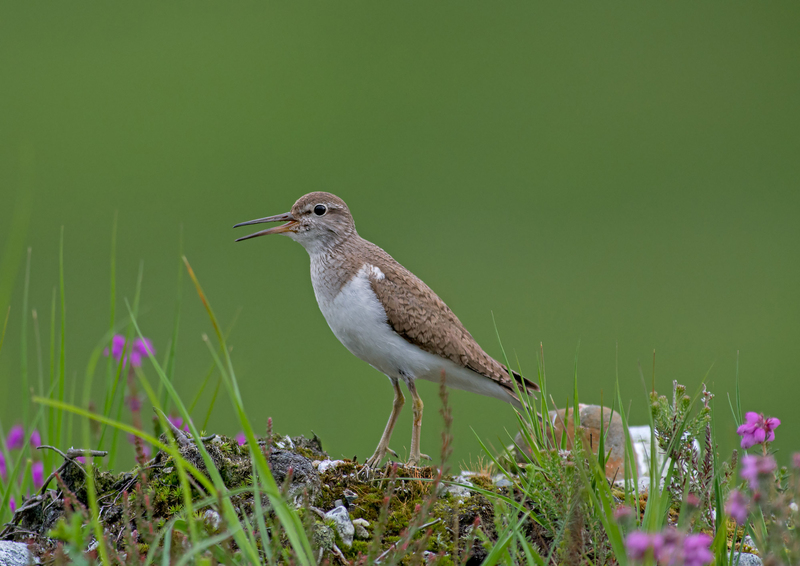 This bird and its American sister species, the spotted sandpiper (A. macularia), make up the genus Actitis. 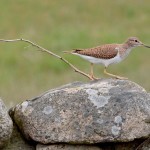 They are parapatric and replace each other geographically; stray birds of either species may settle down with breeders of the other and hybridize. 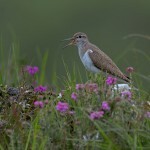 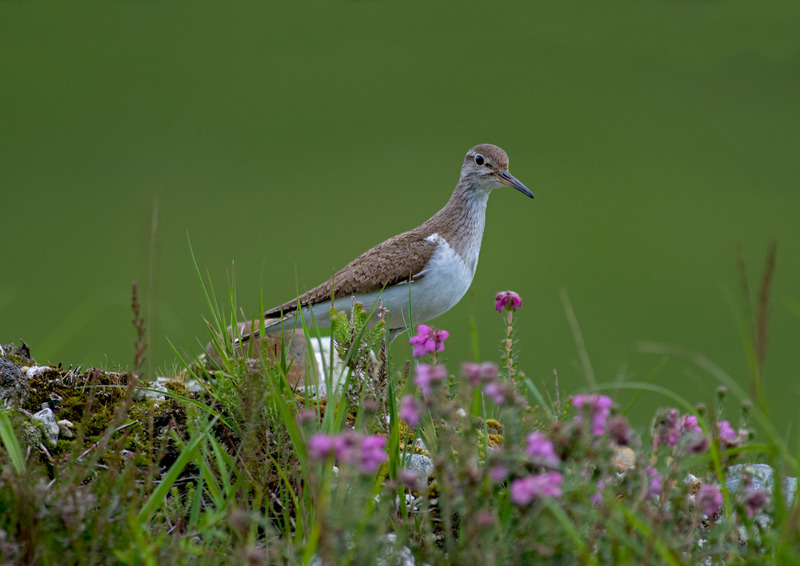 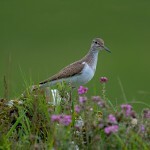 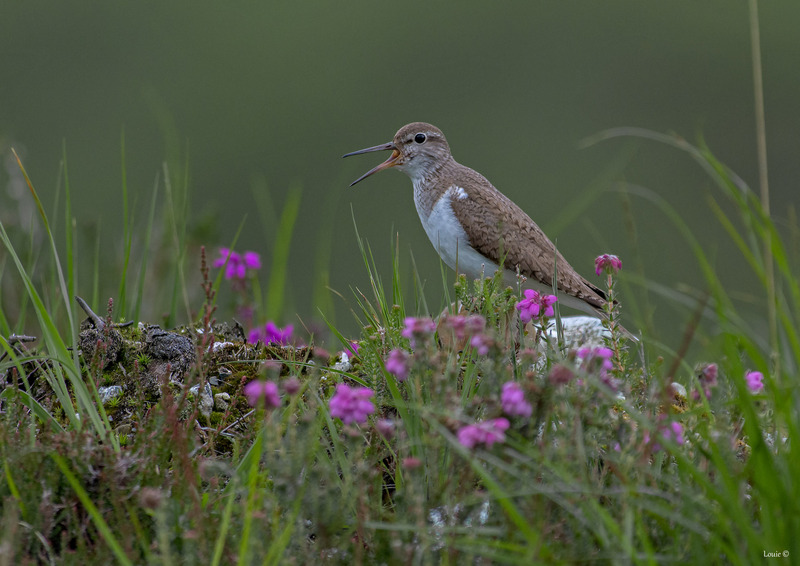 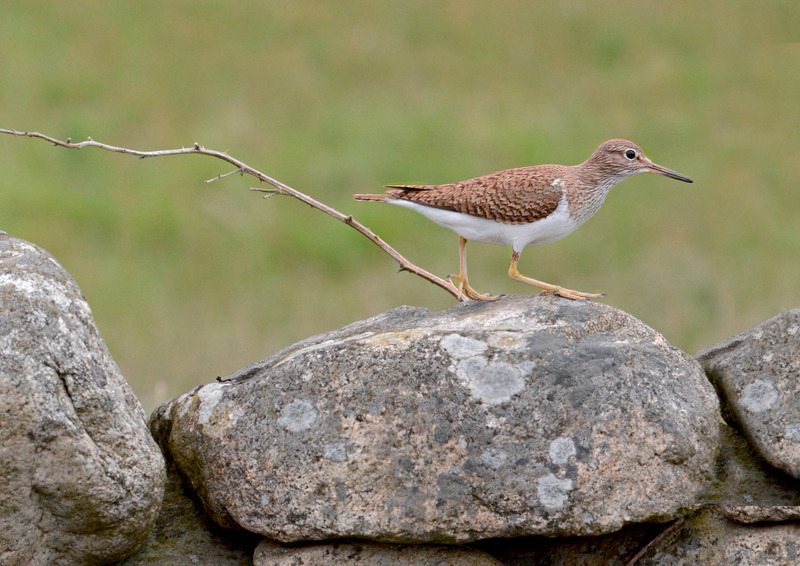 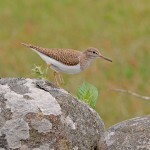 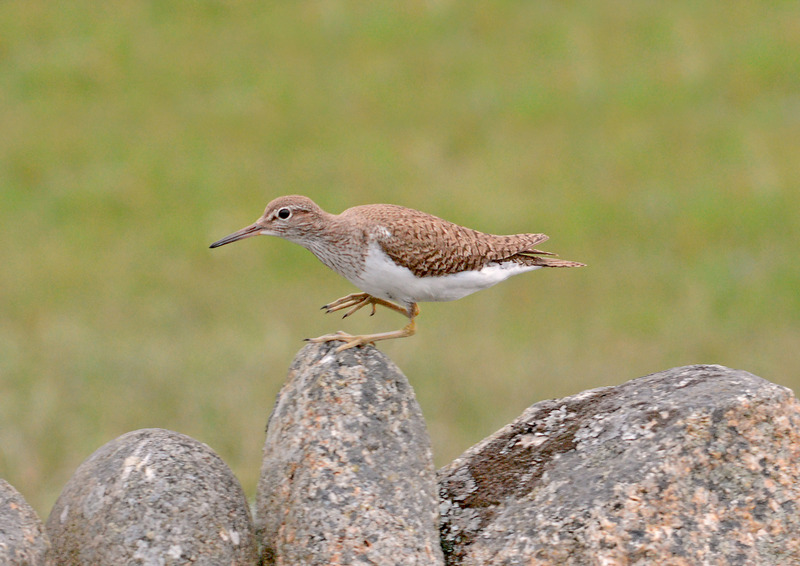 Hybridization has also been reported between the common sandpiper and the green sandpiper, a basal species of the closely related shank genus Tringa. 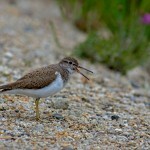 The adult is 18–20 cm (7.1–7.9 in) long with a 32–35 cm (13–14 in) wingspan. 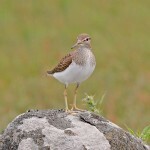 It has greyish-brown upperparts, white underparts, short dark-yellowish legs and feet, and a bill with a pale base and dark tip. 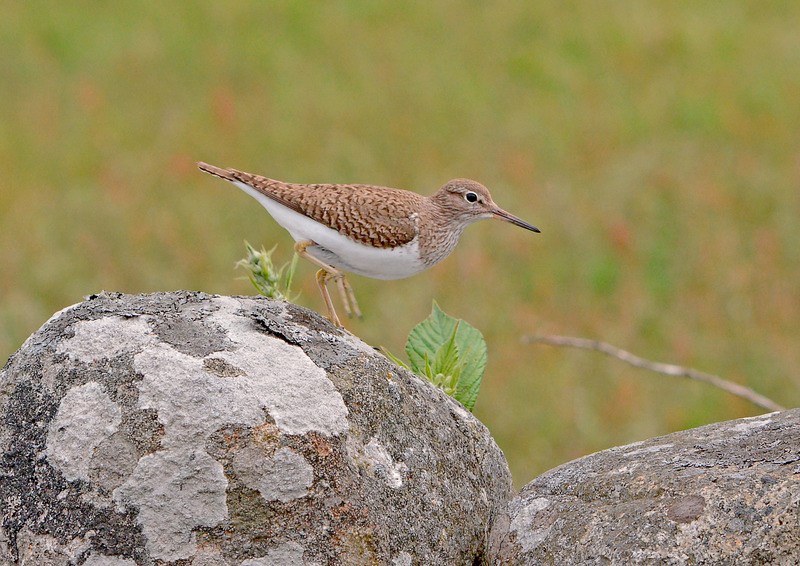 In winter plumage, they are duller and have more conspicuous barring on the wings, though this is still only visible at close range. 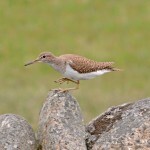 Juveniles are more heavily barred above and have buff edges to the wing feathers. 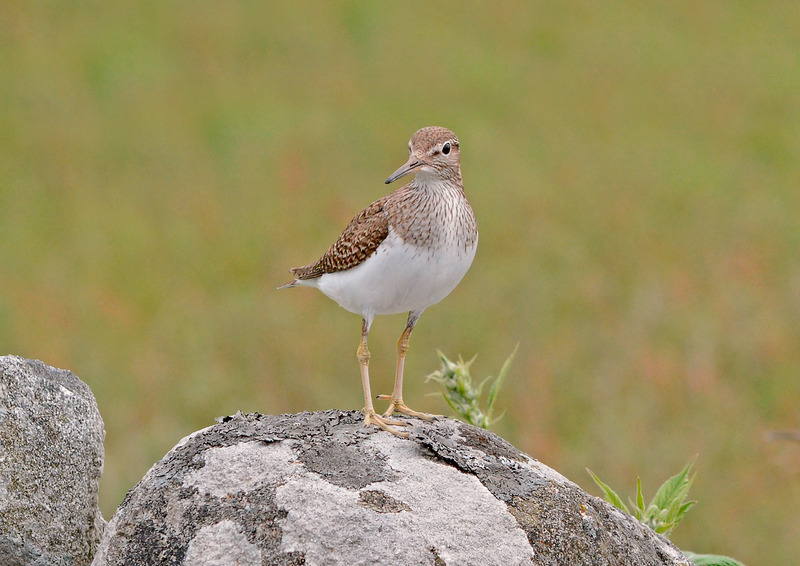 This species is very similar to the slightly larger spotted sandpiper (A. macularia) in non-breeding plumage. 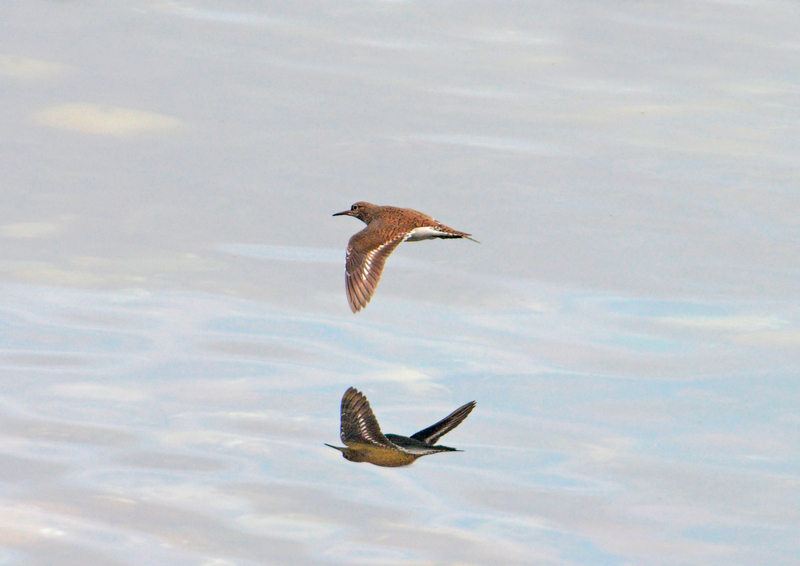 But its darker legs and feet and the crisper wing pattern (visible in flight) tend to give it away, and of course they are only rarely found in the same location.